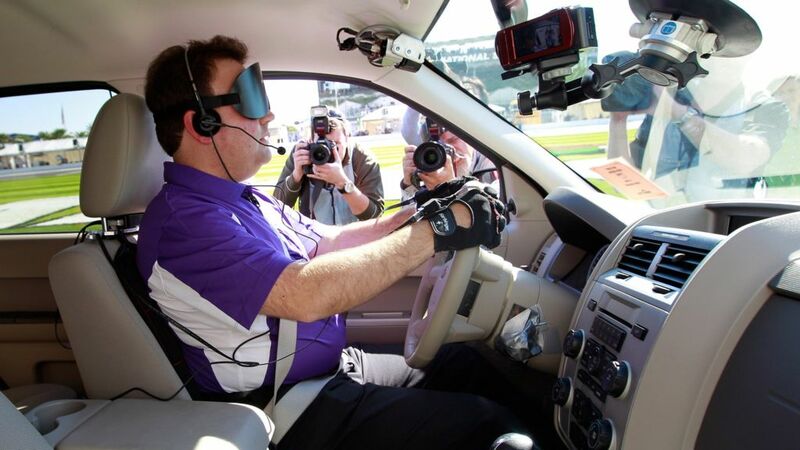 Amazing developments in design and technology has enabled manufacturers to develop automobiles that can be driven by motorists suffering from disabilities. Many of these developments involve making the operating of the car much easier by changing how it is controlled - this could include replacing the steering wheel with a joystick, or replacing the pedals with hand controls. In 2016, there were an estimated 1.9 million disabled drivers in the UK, which made up approximately 6% of licensed drivers. Some may think that changing the way in which a car operates will make it dangerous to drive. This is not the case, however, as a study revealed that disabled drivers were not found to have a collision involvement that was different from the total population. The reasoning for this is that any motorist, able-bodied or not, must pass a test where they drive to a required standard. Although a disabled motorist may operate the automobile differently, they must still drive to the required standard. Disabled motorists will learn in an adapted automobile and from a tutor that specialises in teaching disabled drivers - this ensures that they are able to operate an adapted automobile to the same standard that an able-bodied motorist can operate a standard vehicle. The only difference will be that the disabled driver’s license will show that they are only licensed to drive an adapted vehicle and it will state what kind of adapted automobile. Therefore, they will legally only be able to operate the type of vehicle that they passed their test in and, consequently, disabled motorists are just as safe as other users on the road. So, what are the major reasons for collisions? Studies show that failure to look is the most commonly reported factor, whilst loss of control is the most frequently reported factor in fatal accidents. Unsurprisingly, driving whilst over the limit and users distracted on their smartphones remain very prevalent issues that lead to many collisions. In terms of the type of motorist that is found to be involved in the majority of collisions, young males remain the most dangerous group. The adaptations that have been made to automobiles to enable disabled individuals to get behind the wheel are superb, with companies like Allied Mobility leading the way. Due to the fact that these motorists learned in one of these vehicles and passed their test ensures that they are just as safe as other road users, whilst the main reasons for collisions remain the same.